Somehow cats and books go together. Most librarians I know own cats. 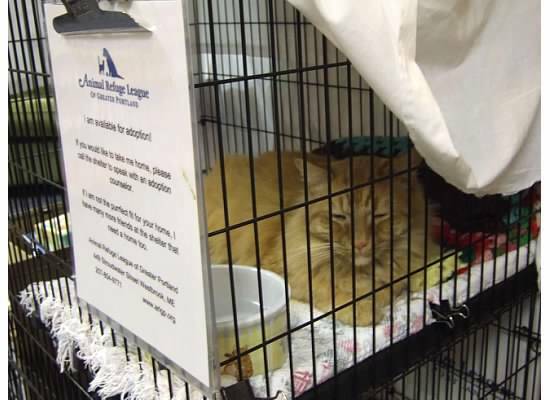 Some libraries have resident cats (see Dewey : the small-town library cat who touched the world by Vicki Myron, a copy of which is at the Long Island Community Library). Many bookstores have cats too. 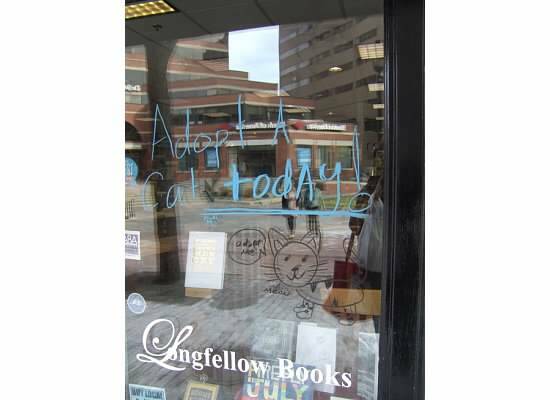 Our own Longfellow Books on Monument Square in Portland has teamed up with the Animal Refuge League of Greater Portland to offer a temporary bookstore home to help kitties find a new family to love. First there was Gus, and then Alexia, and most recently Bob – all have been adopted. What a wonderful idea!